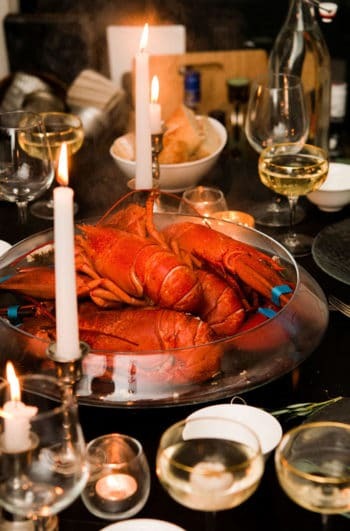 Don’t feel like going out and doing something extra fancy on Valentines Day? How about doing something extra fancy 2 feet away from your couch? 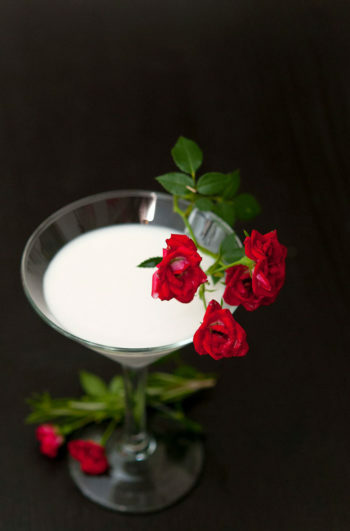 Why not create romantic Valentine’s Day cocktails for you and your sweetheart? It’s so simple and such a lovely surprise! One of my very favorite things in the world is simply sitting next to my husband on the couch. It doesn’t matter if we’re watching a movie, listening to music or simply talking after work. I just love being close to him. 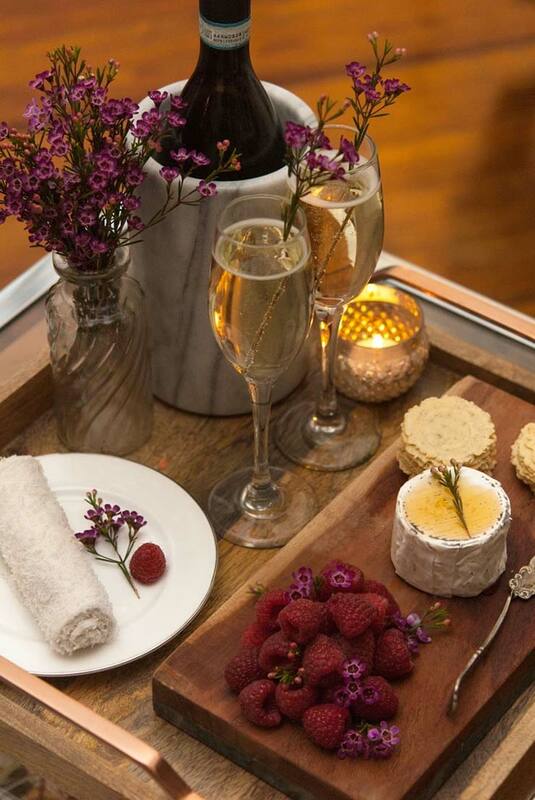 I always have a snack plate and prosecco or cocktails ready when he gets home (and he does the same for me). No matter how stressful the day can be, just knowing I’ll have some time on the couch with him makes everything OK. 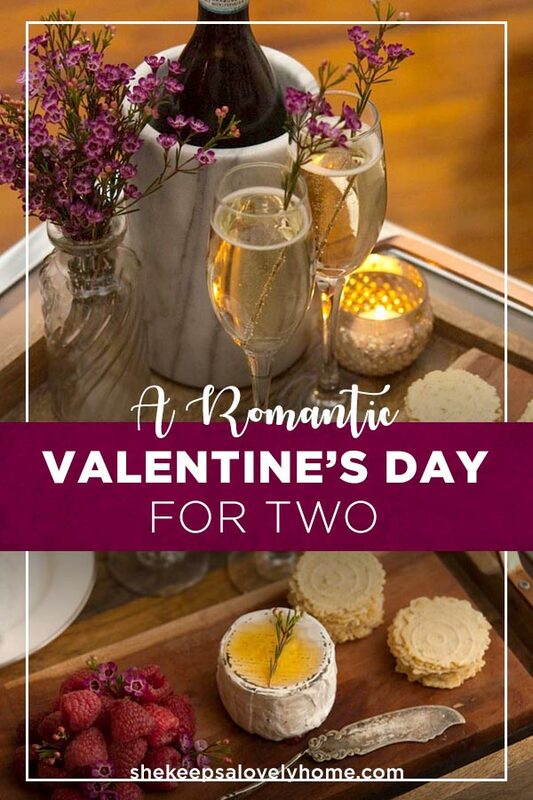 If you feel the same way about your sweetheart, maybe a lovely little cheese plate like this is all you need for Valentines Day. 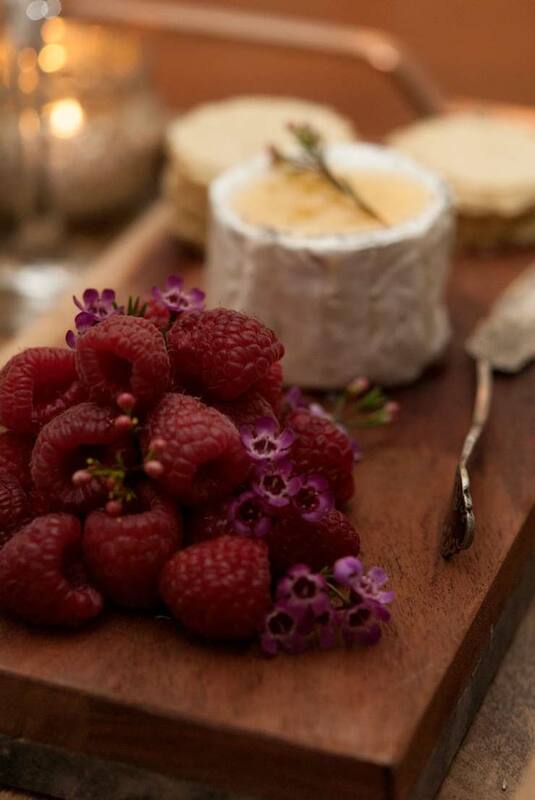 My husband and I both have a sweet tooth, so I thought I’d add some beautiful little raspberries and a honey-drizzled Petite Cendrée cheese with a few pretty waxflowers for garnish. This cheese is like an ultra light bleu cheese. Only the rind gives it that bleu flavor. 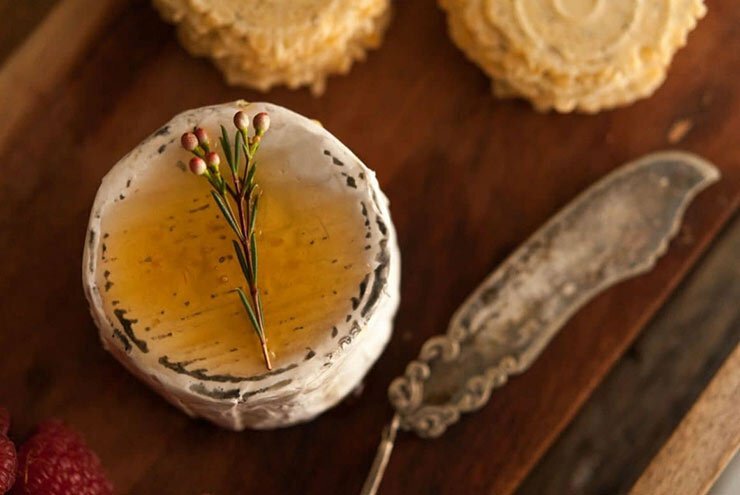 The cheese itself is so delicate and dreamy. Extremely mellow and smooth. Honey is the yummiest drizzle for a cheese like this. It becomes so bright and decadent. You could also use a marmalade or fig spread too, but honey is really the very best sweet, simple pairing. 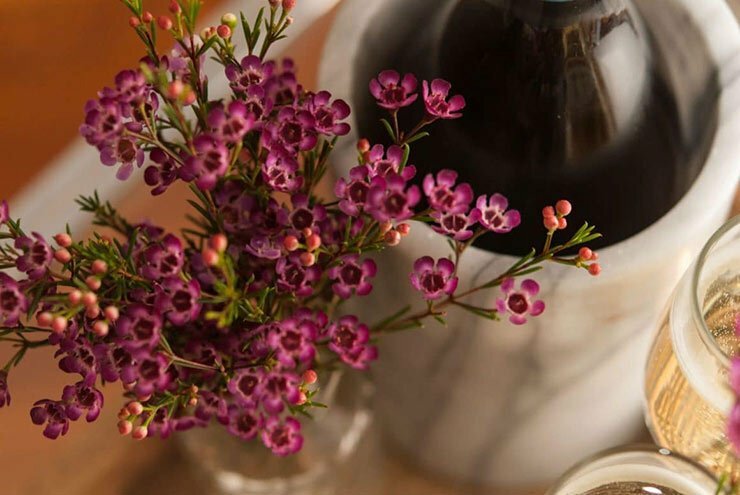 Oh look how pretty you can make a little pile of raspberries look with a few sprigs of waxflower. 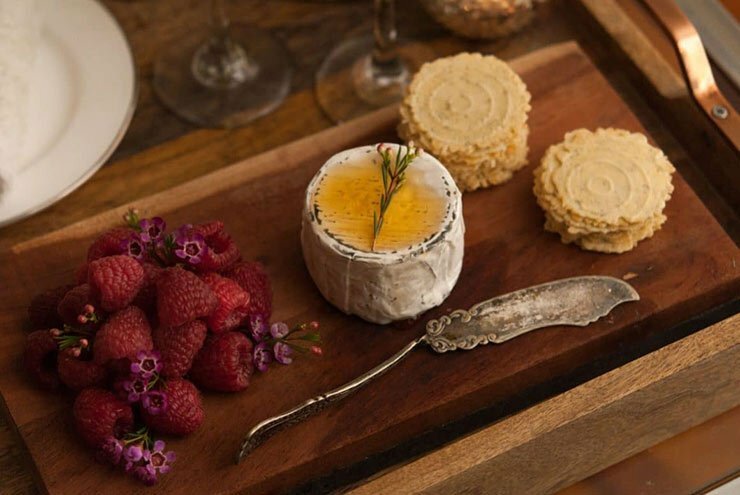 Just snip a few little ends off a bouquet and tuck them between berries to add a little romance to your cheese plate. 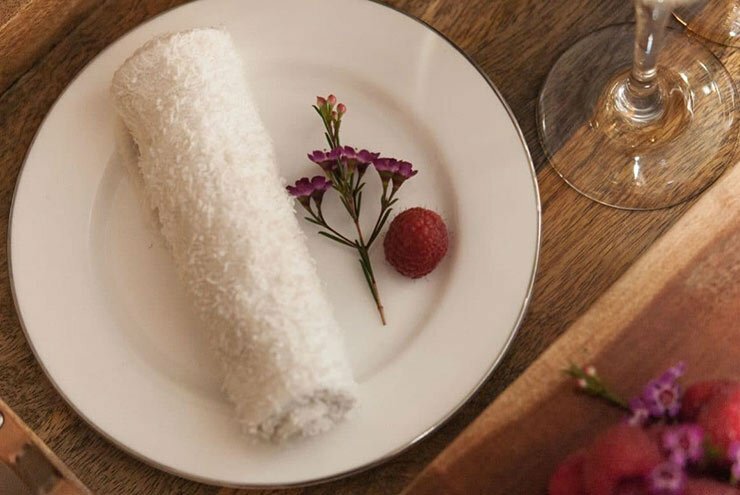 The sweetest touch to this chilly February cheese plate is a hot, tea tree scented towel for my husband. We do this for each other when one of us gets home before the other. It’s so simple to do, and it’s such a lovely surprise when it’s cold outside. I don’t have a microwave, so I simply pour a small amount of boiling water in a tiny bowl, add a single drop of tee tree oil and soak up the water when he walks in. 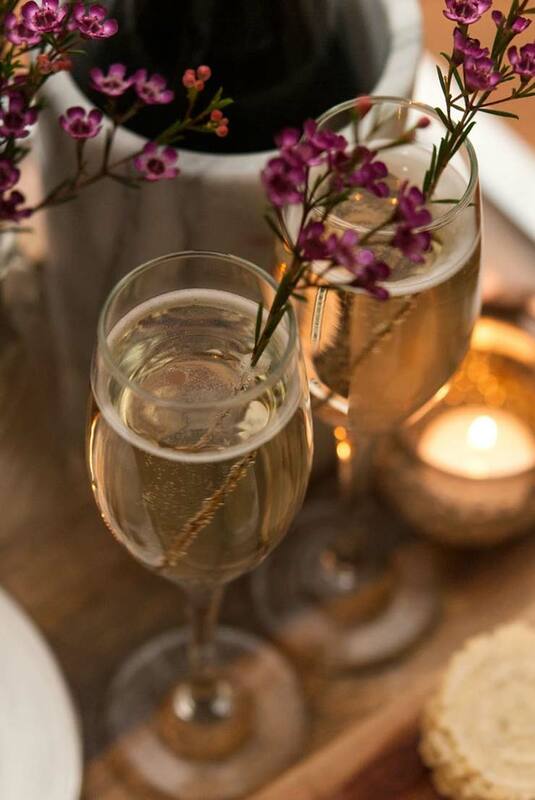 It’s the little, simple, fancy things that keep things special. Happy Valentines day!